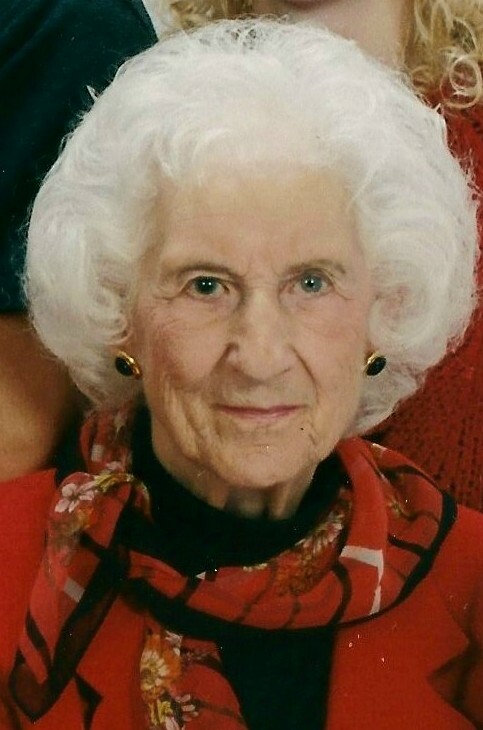 Josephine R. (Calarese) Porembski, 100, of Bradenton FL, formerly of Milford passed away, Tuesday, September 18, 2018 at the Serenity Gardens of Bradenton in Bradenton, FL. She was born in Milford daughter of the late Alberto and Serafina (Iadarola) Calarese and lived in Milford most of her life before moving to Bradenton FL. In 2010. She was educated in the Milford schools. Josephine retired in 1979 from Zayre Corporation in Framingham, where she was employed as a floor person. She was a communicant of the Sacred Heart of Jesus Church. She is survived by her daughter, Kathleen Beccia, and Andrew Korzeniowski of Bradenton FL; one sister, Alma DiCecco, of Milford; two grandchildren, Stephen Beccia of Hudson, MA and Atty. John Beccia, III of Lynnfield, MA; nine great-grandchildren, many nieces and nephews. She was predeceased by her siblings, Angelina Feccia, Theresa Calarese, Anna Calarese, and Joseph Calarese. A Mass of Christian burial will be held Wednesday, September 26, 2018 at 10 A.M. at the Sacred Heart of Jesus Church, 7 East Main Street. The burial will follow in the parish cemetery. A calling hour will be held prior to the funeral Mass from 8:30 to 9:30 A.M. at the Consigli-Ruggerio Funeral Home, 46 Water St., Milford.